Stopped at Cowichan Bay Seafood on the way home from work . Went in with an opened mind. I actually looked at the other fish that was available including fresh sardines, Arctic Char, Sole, and of course salmon. There was also live Dungeness Crab, oysters, mussels, clams and scallops. All of which Moe would have been more than happy with. But I went with Halibut. I know, I know, I'm boring. But I love halibut and I only like some of the other available options. Love me a big fat fish fillet and you didn't add too many ingredients...the fish flavour comes through. 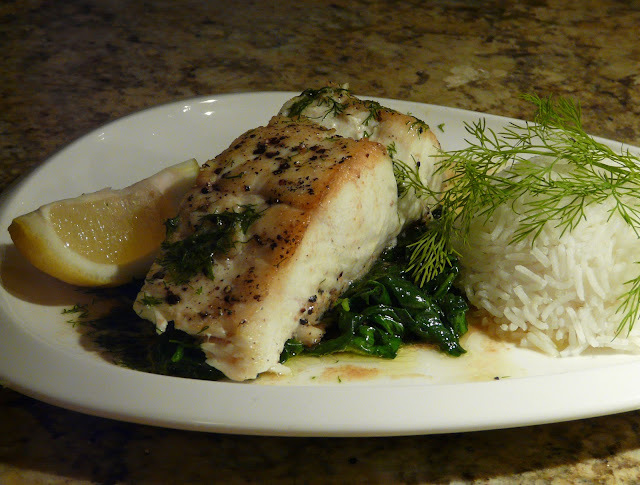 You are NOT boring..This is what i would order at your home:) halibut.You do it so well and I love fish. I'd have to say that halibut is my favourite fish. I love its firm, meaty texture. Keep the halibut recipes coming! Your ideas are always inspirational!!! This is such a beautiful dish. 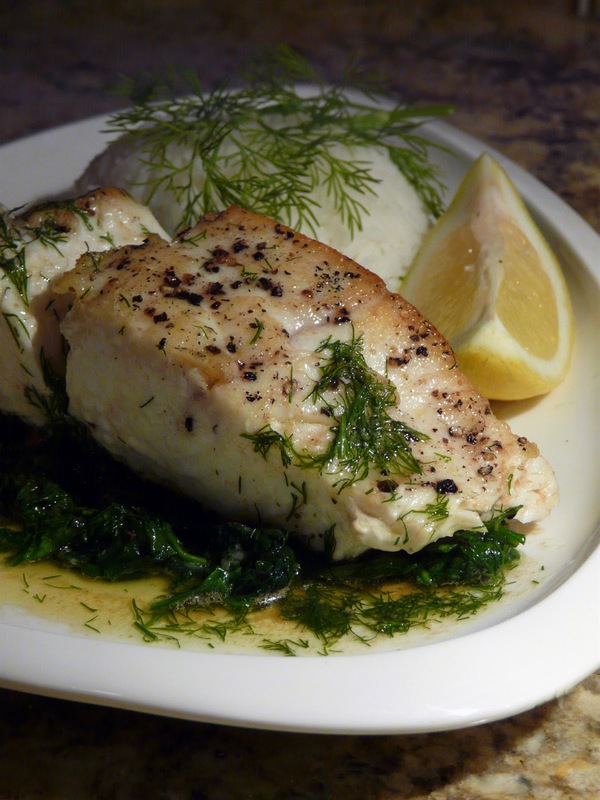 I love halibut and your brown butter and dill sauce sounds especially delicious on it. You? Boring? Never!! Wow Ann, that is one beautiful piece of fish ~ I love how you've prepared it. Nicely done! !